Memorial services for Anthony " Tony " H. Riley Sr., 68, of Hallsville, Texas, will be held this Saturday, November 3, 2018, at 10:00 am, at The First United Methodist Church in Hallsville, Texas with Brother Bowen officiating. Tony was called home to be with Our Lord and Savior on October 27, 2018. He was born to Edward & Corliss Riley on June 23, 1950, in Houston, Texas. Tony is survived by his wife, Doris Riley of Hallsville, daughter, Bridgett Riley, son's and daughters-in-law, Anthony H. Riley Jr., Shawn and Keli Riley, and Jason and Darla Riley, all of Hallsville, Texas. Mr. Riley also has fifteen grandchildren and eight great grandchildren and three sisters and brothers-in-law, Sandra and John Marx of Oklahoma, Patrice and Tommy Burgess of Longview and Angela and Juan Vaca of Hallsville., along with many other family members. Tony was preceded in death by, two grandsons, Michael Joe and Christopher Riley, both parents, Edward and Corliss Riley and one brother, Rodney Riley. 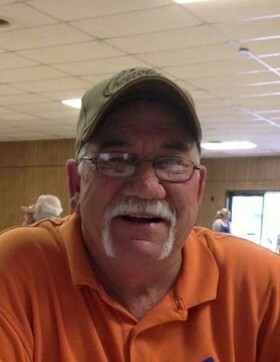 Burial for Mr. Riley will be held at a later date at Hallsville City Cemetery. The family wants to thank everyone for the outpouring of your comforting words, food and all the ways you all have helped. In lieu of all the flowers, the family is asking that you can make donations to The First United Methodist Church in Hallsville, Texas, or St. Jude's Children's Research Hospital.